The professional or amateurs programmers may have their computer programs creations protected thanks to the Dominican Copyright Law No. 65-00. 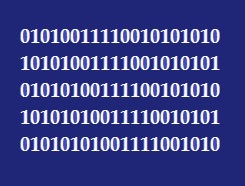 The Dominican Copyright Law defines computer program as the expression in words, codes, plans or any other form of a set of instructions which, on being incorporated in an automated reading device, is capable of causing a computer or other type of machine to execute a task or produce a result. What is the scope of protection? This creation has the same protection as the literary works, without taking into account whether they are source code or object code. Likewise, the protection covers the technical documentation and user manuals. How long is the protection? The protection period is seventy (70) years from publication, and if the work is not published the period is fifty (50) years. The producer of a computer program is the owner, and is regarded as the person that takes the initiative and has responsibility for making the work. Unless otherwise agreed, it shall be presumed that the authors of the program have assigned to the producer the exclusive economic right therein, unlimited and for its entire duration, including the right to make or authorize adaptations or versions of the work.